What's your star sign? Is our fate pre-determined by the constellations and the position of the planets? Can astrology really present an alternative vision to the apparent certainties of science, politics, religion and celebrity culture? Or should its claims of determinism, fate, fortune and personality profiling perhaps be taken with a large pinch of salt? Here are fourteen brand new astrologically themed stories to delight and enthral, spanning the range of science fiction, fantasy and horror, with stories by Doug Blakeslee, Mark David Campbell, Storm Constantine, Adam Craig, Megan Kerr, Joel Lane, Bob Lock, Jet McDonald, David McGroarty, Ralph Robert Moore, Christine Morgan, David Turnbull, Neil Williamson and Stuart Young. 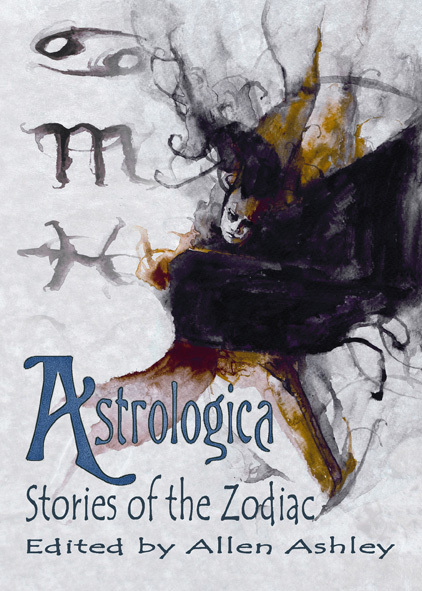 Astrologica: Stories of the Zodiac edited by Allen Ashley -- coming from the Alchemy Press. To be officially launched at WFC later this month.